A former Indian supermodel-turned-actor, and producer, Arjun Rampal rose to fame after making his acting debut in Rajiv Rai's romantic drama Pyaar Ishq Aur Mohabbat, in 2001. He then delivered a series of flop films before starring in movies like Don, and Rock On! !, with the latter winning him the National Film Award for Best Supporting Actor. Arjun turned producer with the movie I See you and established his own production house Chasing Ganesha Films. He has also toured the world for stage concerts like Heartthrobs: Live in Concert, Temptations, and Temptations Reloaded. Set by Bollywood superstar Shahrukh Khan, Temptations and Temptations Reloaded featured stalwarts like Kareena Kapoor Khan, Katrina Kaif, Rani Mukerji, Saif Ali Khan, and Preity Zinta amongst others. Born in Jabalpur, Madhya Pradesh, India, to Amarjeet Rampal, a businessman and Gwen Rampal, a teacher, Arjun Rampal, along with his younger sister, Komal Ramal, studied at the prestigious Kodaikanal International School located in Palani Hills, Tamil Nadu. For his graduation, Arjun attended Hindu College, Delhi University, and completed his Bachelor's degree in Economics. Arjun is also related to Kim Sharma, a former Bollywood actress and has appeared with her in the movie Yakeen. While attending a party with his school friends, Arjun was spotted by the renowned Indian designer Rohit Bal, who then recommended his friend Ritu Nanda to cast him in an ad campaign, which she was then shooting. Arjun Rampal tied the knot with Mehr Jesia Rampal, a former Miss India, and a supermodel, in 1998. They have two daughters Mahikaa, born in 2002, and Myra, born in 2005. To break the myth, which associated models with bad actors, Arjun at the height of his modeling career, left it all to make in big in the movie industry. He went on to make his big screen debut with Rajiv Rai's Pyaar Ishq Aur Mohabbat, which also stars Sunil Shetty, Aftab Shivdasani, and Keerti Reddy in the lead roles. Though the movie bombed at the box office, Arjun garnered good reviews for his performance and bagged the International Indian Film Academy Award for Star Debut Of The Year-Male. He followed this up with a series of critical and commercial duds like Deewaanapan (2001), Dil Hai Tumhaara (2002), Dil Ka Rishta (2003), Asambhav (2004) Yakeen (2005), and Vaada (2005). In 2006, Arjun appeared in a supporting role in Farhan Akhtar's Don, starring Shahrukh Khan in the lead role. The movie was a worldwide hit and Arjun was appreciated for essaying the role of Jasjeet Ahuja, a man manipulated by Don to steal diamonds. He then, for the first time in his career starred in a negative role in Farah Khan's Om Shanti Om, which was a light-hearted tribute to Bollywood. For the portrayal of Mukesh Mehra aka Mike, Arjun received tremendous critical acclaim. 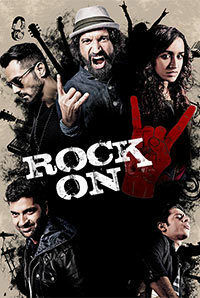 He was next seen in the 2008 Hindi rock musical film Rock On! !, alongside Farhan Akhtar, Shahana Goswami, Prachi Desai, and Purab Kohli. 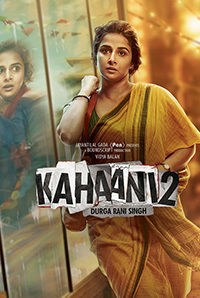 Directed by Abhishek Kapoor, the movie opened to great reviews by the critics but grossed averagely at the box office. 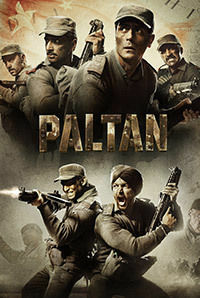 About the movie, Prakash K. Jha of Bollywoodhungama noted, "Seldom has a film blended the music of life into the fabric of a film with such seamless expertise. Rock On!! is that rarity where every component character and episode falls into place with fluent virility. In the same year, Arjun made his English film debut with Rituparno Ghosh's The Last Lear, co-starring Amitabh Bachchan, Preity Zinta, Shefali Shah, and Divya Dutta in pivotal roles. In the subsequent years, Arjun went on to appear in successful films like Housefull, Raajneeti, Ra.One, and D-Day. His 2016 projects include Kahaani 2, with Vidya Balan, and the sequel to Rock On! !, Rock On!! 2, which along with him also stars, Farhan Akhtar, Shraddha Kapoor, Prachi Desai, and Purab Kohli in lead roles. Arjun Rampal was first spotted by fashion designer Rohit Bal at a party, following which he helped Arjun in kickstarting his modeling career. In 1994, Arjun Rampal was named Society's Face of the Year. Arjun Rampal was offered the lead role in Lakshya, however, due to date issues, he couldn't take up the role of Karan Shergill, which eventually was portrayed by Hrithik Roshan. Arjun Rampal was also offered the role of Jalal Akbar in Lakshya, which later went to Sushant Singh. Daddy is Arjun Rampal's second venture as a producer, first being I See You in 2006. Before making his acting debut in 2001 with Pyaar Ishq Aur Mohabbat, Arjun Rampal was seen in one of director Rajiv Rai's music videos. Due to certain differences, Arjun Rampal opted out of Rakeysh Omprakash Mehra's political drama Rang De Basanti and his role was then played by popular Telugu and Tamil film actor Siddharth. Arjun Rampal's maternal grandfather Brigadier Gurdayal Singh is credited for having designed the first artillery gun for the Indian Army post independence. The gun was used even 40 years after being made during the Kargil War in 1999. Arjun Rampal was seen in an ad directed by Shekhar Kapur for Schweppes, a beverage brand, alongside Hollywood actress Nicole Kidman. Arjun Rampal and former Bollywood actress Kim Sharma are cousins. Arjun Rampal plays the role of Arun Gawli is the 2017 biographical crime drama Daddy. In order to prepare for his role, he met the gangster-turned-politician at JJ Hospital without prior permission because of which he was summoned by the Mumbai police. Shah Rukh Khan, Priyanka Chopra and Arjun Rampal underwent a special martial arts training program to perfect their characters further in the movie Don. Arjun Rampal was offered Daddy by another producer but the actor wasn't impressed with its one-dimensional approach and took it upon himself to come up with an entirely new script. Obsessed with the idea of making the film about one of the most dreadful gangsters of Mumbai, Arun Gawli, Arjun spent over two months to complete writing the script. In order to look his part in Daddy, Arjun Rampal lost over 11 kgs. 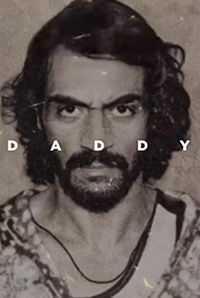 A professional prosthetics makeup artist from Italy was flown down to work around Arjun Rampal's look in Daddy, especially his nose. To get to know Arun Gawli better before the shoot of Daddy, Arjun Rampal met a lot of people from Dagdi Chawl, which is where Gawli was based out of. Apart from having a production house of his own, Arjun Rampal along with his wife co-owns a posh Delhi club, LAP. Going to religious places gives me clarity. When I am sitting there, I am in a state of gratitude with my defense mechanism down and am open to receiving that energy, that gives me clarity as at that time, you are listening to your heart. The heart shows you the direction in life. The mind exists only to execute your emotion.